We’re Family Owned and Operated - The Furniture Connexion was created by husband and wife team David and Julie Weiss in 2003. Together they have over forty years of combined experience in furniture retail and wholesale. They love Portland and are proud to be part of the community. Unlike many furniture stores, we won’t hassle you into buying something and have a relaxed, friendly atmosphere we hope you enjoy. Come visit us and spend some time browsing our stores. We Bring You the Lowest Prices - The Furniture Connexion has the unbeatable combination of buying large quantities of brand name fine furniture coupled with manufacturing our own furniture brand--Porter International Designs. This gives the Furniture Connexion the ability to provide the most competitive deals in the Portland market. David and Julie regularly travel around the world with one mission – to find you the best furniture at the lowest price. Don’t worry about waiting for a sale – our prices are so low, it’s like a sale every day! Brands You Know and Trust - We carry brand names you trust - Legacy, Magnussen, Porter International Designs, and “Made in the USA” brands including Jonathan Louis, Robert Michael, Serta, and Best Home Furnishings. Along with living room, dining, bedroom, children’s sets, and accent pieces, we also carry unique reclaimed hardwood furniture from Rajashthan, India. 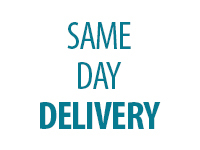 Same Day Delivery - We offer free shipping on all purchases made on our website that are over $999. If you’re shopping in our stores, we will be glad to arrange delivery of your furniture, in the state of Oregon, through a professional delivery service. Our goal is to provide you with excellent service and an accurate delivery. To ensure this, please review the following delivery guidelines. Free Financing - Looking for financing? We’ve got some great options. No interest if paid in full within 12 Months! Stop in to one of our locations today to take advantage of this great offer: Furniture Connexion Gresham, Phyl's Furniture Connexion Olympia. We look forward to seeing you! One-Stop Shopping - At Furniture Connexion, we know you have limited time to spend shopping, so we’ve made our stores a one-stop shop to make things easier. With amazing deals, massive in-stock inventory, and an extensive selection of home furniture and decor ranging from timeless and traditional to modern and sleek, we have the stylish items you need for your home that can be delivered today! Shop In-Store or Online - We are excited to offer our e-commerce solution for our Portland, Oregon region customers. Visit FurnitureConnexion.com on a regular basis as we continually update our website with an exciting selection of stylish new home furniture and accessories. To visit our Gresham and Olympia showrooms.